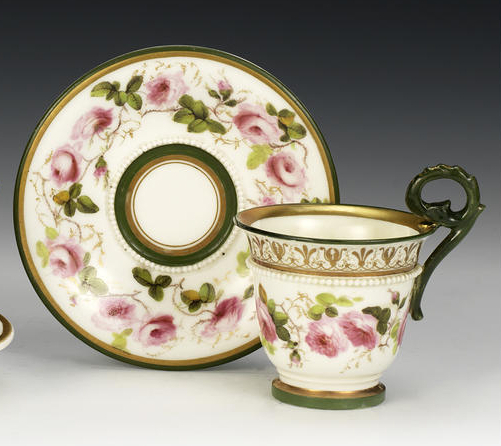 Sometimes I buy early staffordshire handpainted softpaste cups- you can get them for a few pounds if they’re cracked. I buy them mostly in memory of William Billingsley, and to remind myself how lucky I am to be a potter now – even when another box of ‘sale or return’ pots comes back to the studio. 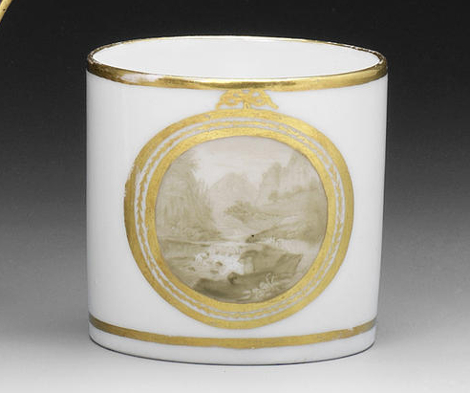 William Billingsley was obsessed with making the whitest, most translucent china to paint on. He started with 21 years at Derby, inventing a new way to paint realistic flowers. He set up Pinxton, which went bust. For a while he had to paint on bought in blanks and fire in a kiln in his back yard in Mansfield. Then he set up Nantgarw and Swansea where he developed his body recipies, creating beautiful forms ‘in the white’ which were the most sought after by London painters of the time, as well as finished pieces which are still now rare and cherished. This obsession came at huge cost. Nine-tenths of the ware at Nantgarw were seconds. Most of his enterprises lost money. His wife and daughter died. 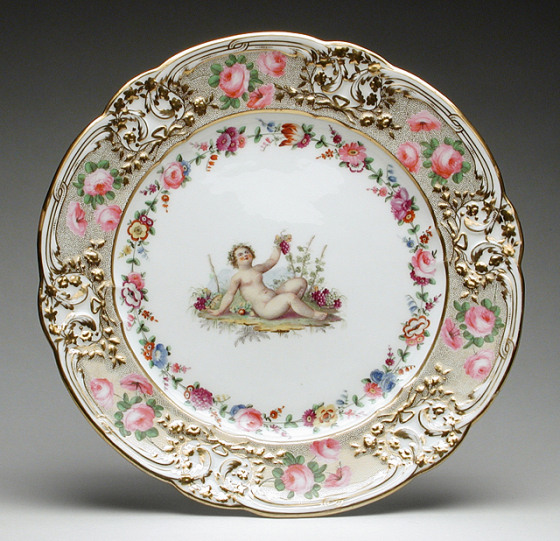 In the end, he was broke, wanted for debt, and had to work under a false name – maybe at Royal Worcester, maybe at Coalport -no-one is too sure. Billingsley spent his whole life working to perfect form and surface and deliver it to as many people as he could, through thick and very, very thin. I’m amazed we don’t celebrate him, who was so exceptional. 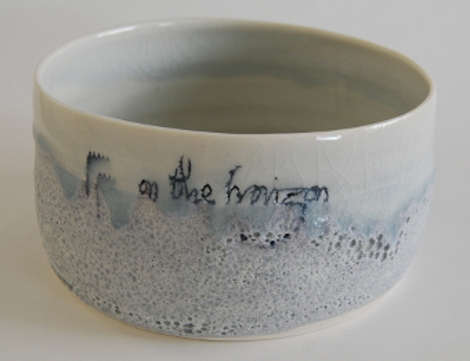 Luckily, in 2013 Nantgarw China Works, with local artists including Lowri Davies and Anne Gibbs, have started to hold ceramics exhibitions, including work inspired by Billingsley himself. I was delighted to be invited to shpw there, and have just sent a box of work for the White Gold exhibition. It runs from 17 May to 17 August 2014, and I will be there on 31st May to give a talk. By the way, my latest newsletter just come out, with details of my shows this summer. Or join my mail list to make sure you don’t miss out! Ho I have looked t ur website and there is a coffee can with a landscape is this for sale or just for illustration? It’s an illustration only, from a project I did about pattern books. Sorry!